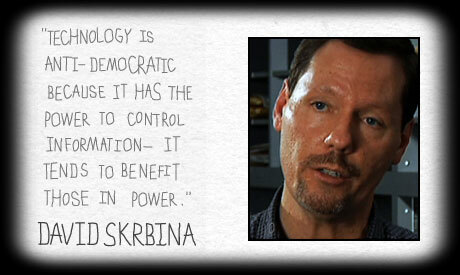 DAVID SKRBINA, PhD, is a professor of philosophy at the University of Michigan, Dearborn. He has been teaching there since 2003. His areas of expertise include philosophy of mind, philosophy of technology, and environmental ethics. He has authored or edited 10 books, including, most recently, The Jesus Hoax (Creative Fire Press), The Metaphysics of Technology (Routledge), and Panpsychism in the West (revised ed., MIT Press). This show was broadcast on January 29, 2018. This entry was posted on Sunday, January 28th, 2018 at 11:13 am	and is filed under Censorship-Propaganda, Education, Freedom, Kevin Barrett, News, Politics, Protest, Spirit. You can follow any responses to this entry through the RSS 2.0 feed. Interesting, something’s stopping me from commenting on this, both today and a few days ago. Not meant to be! The podcast with David Skrbina reminded me of a christian TV program I watched a few years ago. The thing that I vividly remember from it, is that the christian archeologist who was being interviewed, herself, asserted that there is no archeological evidence whatsoever that ‘Jesus’ ever existed (peace upon him and his mother). In the grand scheme of things, it does make sense, for it is another reminder that ‘Jesus’ is NOT the messenger of our current generation, which is the last generation (*clarification1) before Judgement Day. The last generation’s messenger is the last prophet in the long line of prophets since Adam, and it is the prophet ‘Muhammad Ibn Abdullah’ (peace upon him). The language in which the last book of divine guidance has been revealed, ie : The Quran, is Arabic. As it so happens, it is a language of our time, spoken and used by millions of people on the planet. The Christians of our last generation (and everyone else), sincerely desiring to have a good standing with their Maker, before the Angels of death pay them a visit, ought to consider studying Islam and embracing ‘The Quran’ as their book of divine guidance, and ‘Muhammad’ as their prophet. Do not worry about the dislikeable muslims, for they are part of the test : Are you seeking God, or are you seeking a herd to like and to belong to ?. (*clarification1) : When I say “we are the last generation before Judgement Day”, it means in terms of ‘continuity of knowledge’, not in terms of births. Allah Knows Best of course.